Hochiki Europe detectors are integrated to a fully networked fire detection and alarm system at Edinburgh Waverley station. 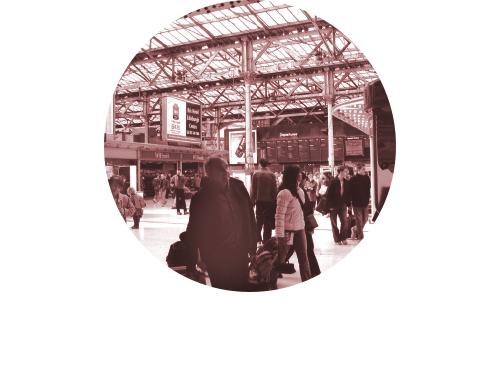 A fully networked fire detection and alarm system has been developed and installed for Network Rail, providing centralised control of fire monitoring at Edinburgh Waverley station, as part of a major enhancement programme. A fully networked fire detection and alarm system has been developed and installed for Network Rail, providing centralised control of fire monitoring at Edinburgh Waverley station, as part of a major enhancement programme. In excess of 500 Hochiki detection devices have been integrated into the system by specialist contractors, Dante Fire & Security, and the system comprises four main panels from Advanced Electronics. Central to the network's system design is the flexibility to accommodate cause-and-effect scenarios within complex fire strategies. For such a demanding project, system reliability and integrity are of paramount concern, and Dante affirms that ‘Hochiki's warranted product quality and reliability' were deciding factors in determining Hochiki as the preferred technology for this prestigious installation programme. The quality assured, interference-free performance of Hochiki's ESP range detectors is just one aspect of the efficient functionality demanded of the installation by the Network Rail specifiers. Dante highlights the ease with which Hochiki's analogue addressable sensing devices can be sub-addressed as of particular benefit during system configuration. In addition, Dante emphasises the advantage of Hochiki products in permitting a more flexible interface by allowing more devices to be added to the loop compared with any other competitive technology. The advanced system design, together with compatible products for trouble-free integration, combined to fulfill the demands of a project where, as Network Rail comments, ‘quality, efficiency, reliability and longevity of the systems were high on Network Rail's requirements'. Renowned for its specialist expertise, Hochiki has gained the reputation as one of the world's leading manufacturers of high quality commercial and industrial fire detection solutions. Hochiki's products can be found in numerous prestigious locations including state parliaments, metro systems, airports, banks, commercial centres, hospitals and hotels. All products are approved to UK and International standards.